With the conclusion of the Arizona Fall League this weekend, I’ll do some updating on the Blue Jays minor leaguers (and a couple of major leaguers here and there) and how they’re doing in the winter leagues around the world. Starting with the Arizona Fall League, starting pitcher Aaron Sanchez opened a lot of eyes this year with an easy delivery that gets 96-mph out of his fastball and with tremendous movement and sharp break on his two offspeed offerings. In his final AFL start, Sanchez went five innings, giving up one run on six hits and two walks with three strikeouts. Overall, Sanchez was practically impossible to hit, with a 1.16 ERA and WHIP under 1.00 with 11 hits and 11 walks in 23 1/3 innings with 21 strikeouts. 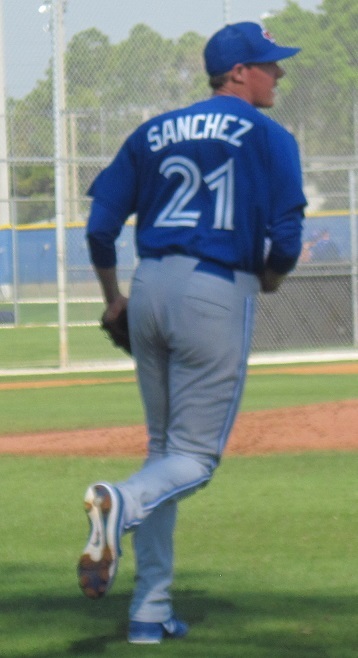 The other pitcher who started in the AFL was Drew Hutchison. Hutch finished strong, giving up one run in four innings on four hits and three walks with four strikeouts in his last start. His AFL numbers are solid and reflect just one bad start. He had a 3.32 ERA with 18 hits and just six walks over 21 2/3 innings with 20 strikeouts. Marcus Stroman was mostly dominant in relief for the Salt River Rafters. I say “mostly” dominant because, like Hutchison, his overall stats reflect his one bad outing. Overall the numbers were solid with a 3.09 ERA, eight hits, three walks and thirteen strikeouts in 11 2/3 innings. John Stilson didn’t complete the season in the AFL but the team has not released any information about whether it was in injury (more likely) or the club felt that he had had enough (less likely). He was roughed up to the tune of seven runs (six earned) with two walks and three strikeouts over two and a third innings. 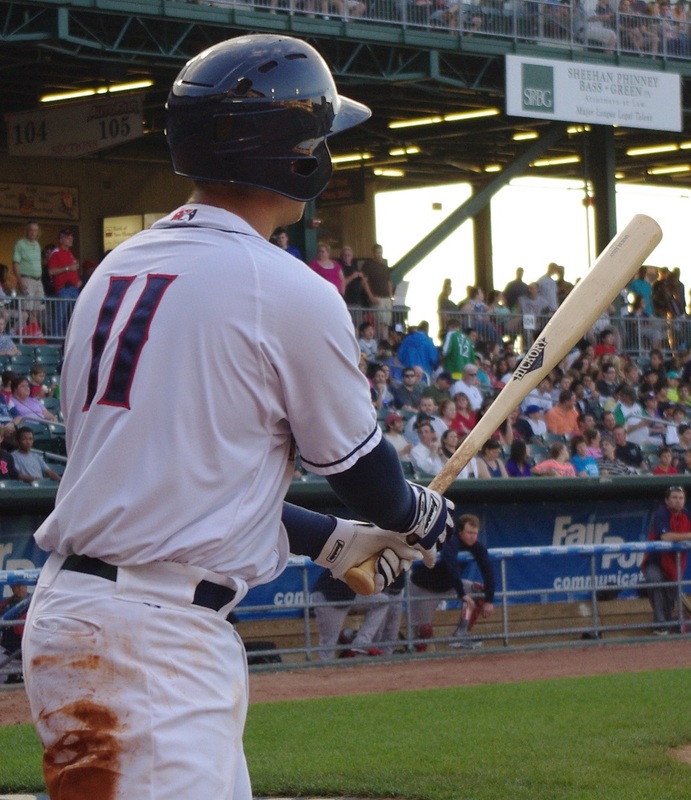 Catcher Derrick Chung had an excellent showing for the AFL hitting .390/.447/.439. There were two doubles and four walks among his 16 hits and Chung scored four times and drove in two. Playing a wide variety of positions including first and third base and right and left field, Andy Burns put on a good showing in the AFL after a slow start. While he didn’t hit for a lot of power, he hit .312/.402/.403 with five doubles and a triple, walking 12 times to 13 strikeouts, driving in 13 and stealing six bases. Normally the Rafters’ leadoff man, Kenny Wilson started and finished strongly but was pretty cold in the middle of the season. Wilson finished with a .258/.333/.392 line with three doubles, two triples and two home runs to go along with 12 stolen bases. Wilson walked ten times but struck out 32 times in the short season. In the Australian Baseball League, the four Blue Jays farmhands playing with the Canberra Cavalry have been with the team representing the ABL in the Asia Series. The club will play in the finals after beating the Samsung Lions 9-5 in extra innings. In the Dominican League, Jonathan Diaz (recently signed to a minor league deal with the Blue Jays) is hitting .292/.469/.389 with four doubles, a home run and 17 walks (only 13 strikeouts) in 72 at bats. 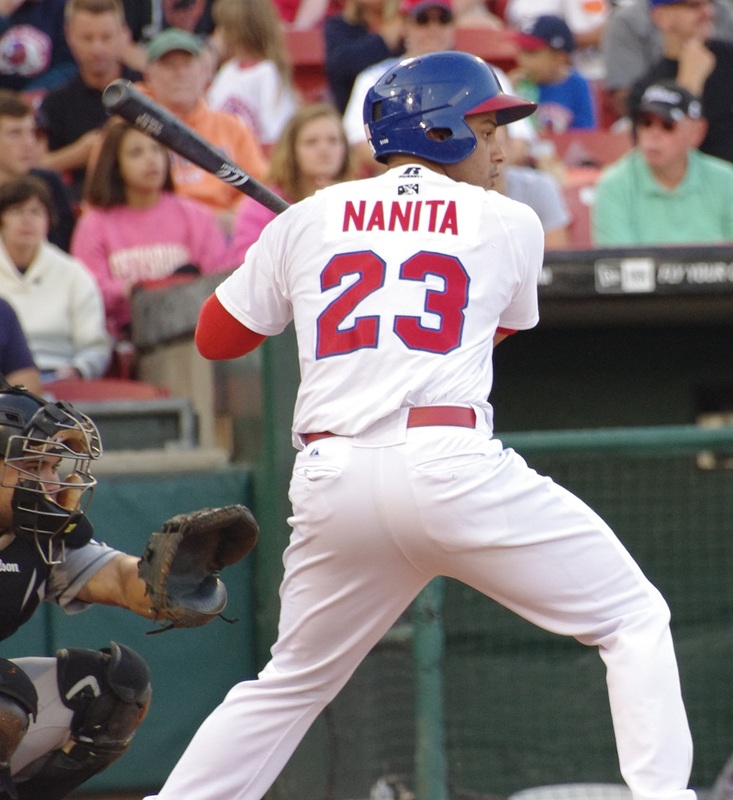 Ricardo Nanita has been slipping with a .233 average and just one double and one home run in 72 at bats. Moises Sierra continues to dominate in the Dominican League, hitting .321/.409/.494 with four home runs in 81 at bats. 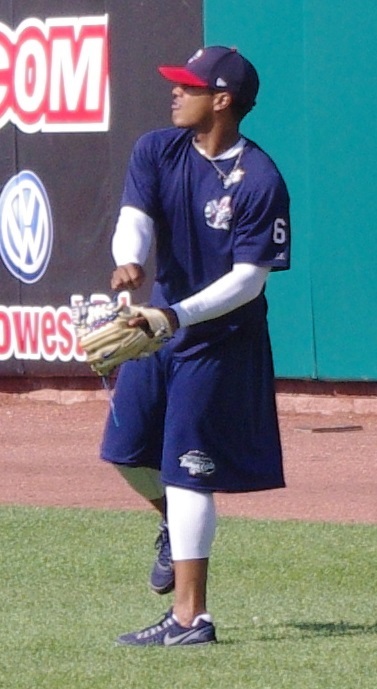 Of the pitchers going in the DWL, Tony Davis has only one walk in two-thirds of an inning with Aguilas Cibaenas. Sean Nolin had a rough start this week, giving up two runs in three and two-thirds innings, walking three and striking out one. Overall, his numbers are pretty solid with a 3.33 ERA with 19 hits, 9 walks and 20 strikeouts in 21 1/3 innings. Mickey Storey continues to pitch outstandingly out of the bullpen with another couple of shutout innings in relief this week. His Dominican numbers are strong with a 0.93 ERA, four hits, two walks and nine strikeouts in nine and two-thirds innings. The Blue Jays’ only representative in the Mexican winter league is “Mighty Mouse,” infielder Jorge Flores. Flores doesn’t have a hit in two at bats but has scored three runs and has taken a walk and stolen a base. In the Puerto Rican “Roberto Clemente” League, Dickie Thon is hitless in three at bats over five games and has struck out twice. Efrain Nieves is getting hit hard with a 6.75 ERA in nine and a third innings in Puerto Rico. He has given up 11 hits and has walked eight to go with twelve strikeouts. Arik Sikula is acquitting himself well, giving up just one run in six innings for Cangrejeros de Saturce. He has allowed just five hits and two walks with three strikeouts. 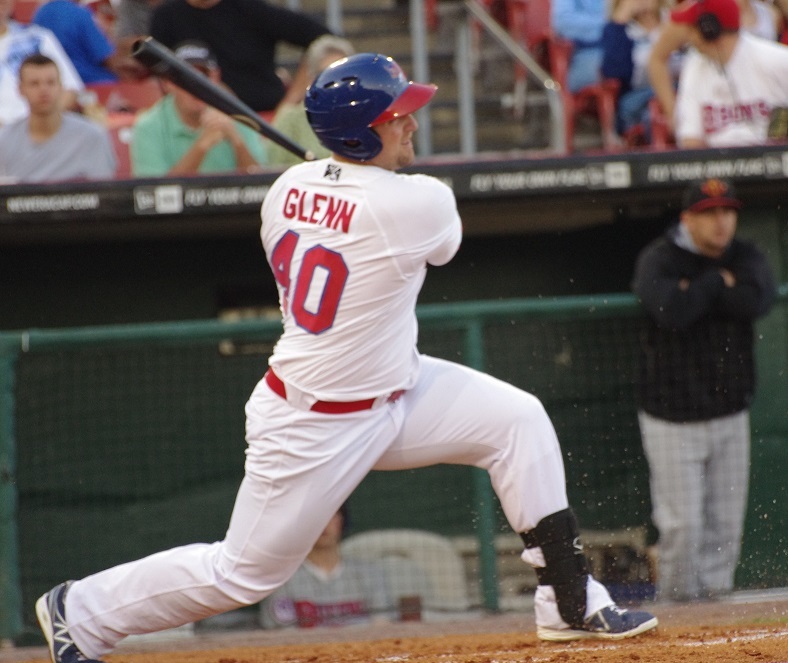 Brad Glenn is still struggling to get back into a rhythm in the Venezuelan Winter League. He’s hitting .150/.261/.150 in 20 at bats without an extra-base hit. Finally, 18-year-old Jonathan Torres finally got some more innings under his belt this week and was very strong for Leones del Caracas. In eight and a third innings, Torres has given up two earned runs (three runs total) on four hits but has walked five and struck out only three. Keep in mind that Torres doesn’t turn 19 until December 31 and is one of the youngest players in the league.